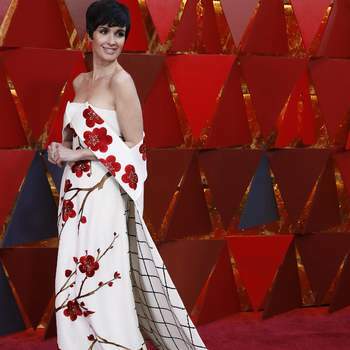 Do not miss the best outfits from the Academy Awards... Take a look at the latest trends. We know you're going to love them! As we get to enjoy this year’s best picture creations, we also get to enjoy some of the best fashion looks on the red carpet. Last night we celebrated the 90th edition of the widely anticipated Academy Awards. As we watched them all walk down the carpet, we certainly weren’t disappointed. Discover in this gallery the 25 winning looks from the awards show, and take some inspiration for your next wedding event. 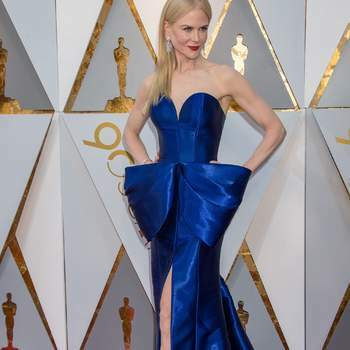 Speaking of fashion, looks and styles, the great winners of the red carpet were Jennifer Garner, who wore a gorgeous dress with electric blue sleeves with a drape effect, signed by Versace. 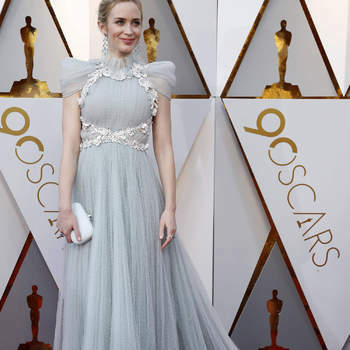 Another of our favorite looks was chosen by the actress Emily Blunt who wore a long party dress in sky blue with beautiful details signed by Schiaparelli. On the contrary, Emma Stone decided to change the dress for an impeccable suit, designed by Louis Vuitton. The Academy Awards always gives us so much to talk about, and once you’ve looked at all the amazing designs in this gallery, you’ll see exactly why. Don’t miss out! Saoirse Ronan de Calvin Klein by Appoinment. Emma Stone de Louis Vuitton. Laura Dern de Calvin Klein by Appoinment. Zendaya Coleman de Giambattista Valli. Maria Menounos de Celia Kritharioti. Molly Sims de Naeem Khan. Leslie Mann de Zac Posen. Sandra Bullock de Louis Vuitton. 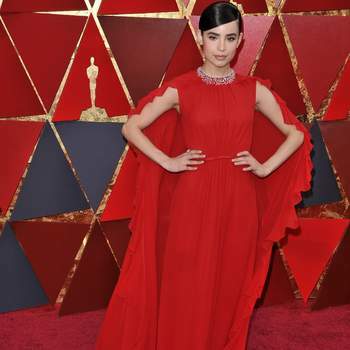 Sofia Carson de Giambattista Valli. 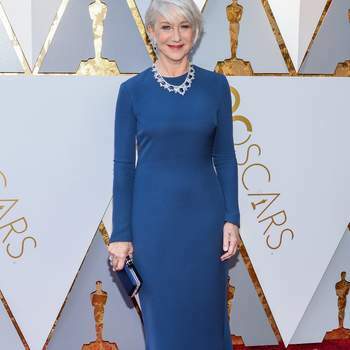 Helen Mirren de Reem Acra. 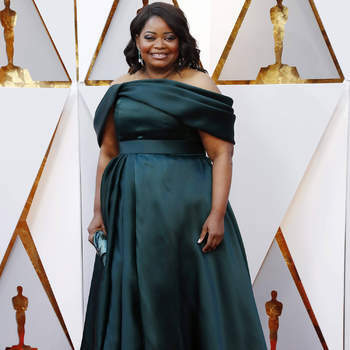 Octavia Spencer de Brandon Maxwell. 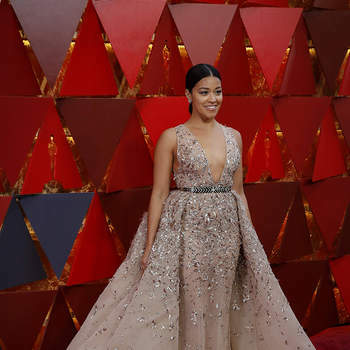 Gina Rodriguez de Zuhair Murad.